EDEN respects your right to privacy and complies with the current legislation on personal data protection, including the new General Data Protection Regulation (EU) 2016/679 of the European Parliament and of the Council of 27 April 2016 ("GDPR") on the protection of natural persons with regard to the processing of personal data and on the free movement of such data, and repealing Directive 95/46/EC, applicable from 25 May 2018, as well as any other rules that may develop or supplement it in the future. Data controller: Eden Springs España, S.A.U. You may also contact us by email at GDPR.Inquiries@edensprings.com. a) Identifying data: name, surname, identification document (tax identification number or code, foreigner identification number, passport number or residence permit). The fields of the forms available on the Website that are required to be filled in shall be marked with an asterisk (*).If not all the required information is provided or if we receive an unusual or incorrect response, we will not be able to process your request or provide you with the corresponding service or functionality. It is not necessary to provide us with your personal data to browse the Website. However, when visiting our Website, EDEN collects,automaticallyand through cookies, depending on your browser specific settings, the following information: IP address, device type and ID, browser type and language, domain through which the Website is accessed, browsing information, Website activity. For more information, pleaserefer to our Cookies Policy. d) To register you as a customer, process your transactions, manage the contractual relationship with you, grant you access to the private customer area, send you relevant information on products and services, notifications of delivery, maintenance, invoicing, collections and payments, process transactions and payment methods as well as any other service communication or communications related to your contact and transactions, management of loyalty programmes, discounts and promotions,perform satisfaction surveys or surveys related toproducts and services marketed and distributed by EDEN. In this case, the legal basis for processing your data is, if you are a residential customer, the performance of the product sales contract or the service provision contract with EDEN; and, if you are a corporate customer, our legitimate interest in contracting and providing our services to the company at which you are employed or provide services to. h) If you give your consent, tosend you marketing communications on our products and services and on products and services of third parties marketed and distributed by EDEN, our publications, opinion surveys, promotional and advertising information, coupons, offers (including customized offers) and recommendations of our products and services as well as of products and services of third parties marketed and distributed by EDEN, according to your interests and based on a profile developed by us, by phone, post, email, SMS and MMS. In this case, your consent is the legal basis for processing your data. Bear in mind that receiving marketing information is not essential to maintain the relationship we have with you. If you prefer not to receive marketing communications, you may inform us at any time through the means indicated oropt-out at the link provided for these purposes in the marketing communications that you receive by email, or if the communications are provided by other means, through the procedure indicated for these purposes. EDEN does not use completely automated decision-making processes to engage in, develop or terminate a contractual relationship with you. If we were to use these processes in a specific case, we would inform you, communicateyour rights in this respect and comply with our legal obligations in accordance with applicable regulations. b. Legal obligations: EDEN maycommunicate your personal data when the transfer is necessary to comply with a legal obligation, including the transfer to competent authorities, judges and courts. This includes complying with requests made by authorities regarding the prevention of money laundering and the financing of terrorism. d.International data transfers. Your data may be disclosed to other companies within the Eden Group and to data processors, within and outside the European Economic Area (EEA). In some cases, the laws of countries outside the EEA do not provide the same level of protection of your personal data as those inside the EEA. However, to the extent that your personal data is transferred outside the EEA, such transfers will be based on adequacy decisions or standard contractual clauses adopted by the European Commission. The Website has a log-in system, with a username and password, through which only authorised users can access the private Customer Zone area. EDEN shall not use this information at any time for any use other than maintenance of the mentioned Customer Zone, to manage the business relationship with you, as well as to offer any services available in the Customer Zone. a) The data necessary to provide you with the information you request, including quotes of products and services, shall be retainedfor the time necessary to attend to and process said requests, in accordance with the applicable legal provisions and the statute of limitations periodslaid down in the legislation. b) The data necessary to send you the newsletter shall be retainedso long as you do not withdraw your consent or inform us of your wish to not continue receiving it, in accordance with the applicable legal provisions and the statute of limitations periodslaid down in the legislation. c) The data required to register in our Customer Zone shall be retainedduring the termof the contract with EDEN, so long as you do not unsubscribe to the private area, in accordance with the applicable legal provisions and the statute of limitations periodslaid down in the legislation. d) The data necessary to check the availability of service at your home or location shall be retained so long as it is strictly necessary for these purposes, in accordance with the applicable legal provisions and the statute of limitations periodslaid down in the legislation. e) The data related to the acquisition of EDEN products and services in the context of a contractual relationship shall be retainedduring the termof the contract with EDEN or for the time necessary to exercise the rights and comply with the obligations of the contract with EDEN, in accordance with the applicable legal provisions and the statute of limitations periodslaid down in the legislation. 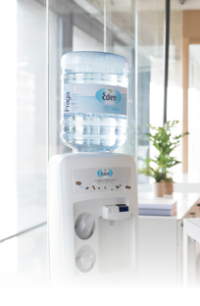 f) The data necessary to attend to your requests for technical support or those related to EDEN products and services shall be retained for the time necessary to attend to and process said requests, in accordance with the applicable legal provisions and the statute of limitations periodslaid down in the legislation. g) When you consent to receive marketing communications, your data shall be retained so long as you do not withdraw your consent or inform us of your wishto not continue receiving these communications, in accordance with the applicable legal provisions and the statute of limitations periodslaid down in the legislation. h) The data sent with a view toparticipate in recruitment/staff selection processes shall be retained on a general basis for 3 years, in accordance with the applicable legal provisions and the statute of limitations periodslaid down in the legislation. a) Right to information: You have the right to be informed about the use and processing of your personal data in a concise, transparent, intelligible and easily accessible manner, andwith clear and simple language. d) Right to erasure: You have the right to request the erasure of your personal data when, among other things, the data are no longer necessary for the purposes for which they were collectedor processed. However, this right is not absolute so that EDEN may continue to keep them, duly blocked, in those caseslaid down in the applicable regulations. i) The right to lodge a complaint with a supervisory authority: You have the right to lodge a complaint with the Spanish Data Protection Agency, whose details are available at http://www.agpd.es. You may exercise your rights by sending a communication to GDPR.Inquiries@edensprings.com, including your name and address for communication and verification purposes and providing the necessary details to process your request.